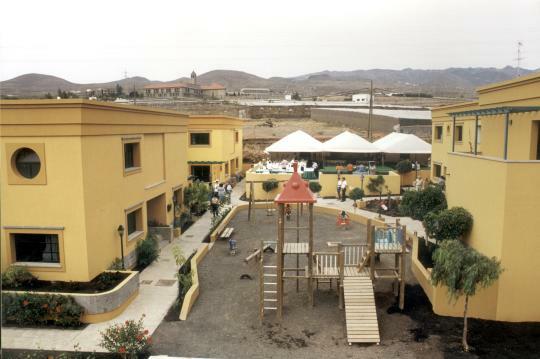 SOS Children's Villages has been present in Spain since the late 1960s and currently works with families and children in eight locations on mainland Spain and in the Canary Islands. In 1981, SOS Children's Villages Spain was founded and since then has been responsible for the organisation's work in the country. SOS Children's Villages runs a variety of programmes in order to meet the needs of children, young people and families in the local communities. Spain is a country in Southern Europe. The country borders France and Andorra in the north-east, Portugal in the south-west and Gibraltar in the south. Across the Mediterranean Sea there are a number of Spanish enclaves which border Morocco, the biggest of which are Ceuta and Melilla. The population of Spain amounts to 46.7 million (2014 estimate). The capital and largest city is Madrid with about 5.7 million inhabitants. After years of dictatorship under General Franco, Spain approved a democratic constitution in 1978. This supports linguistic and cultural diversity for the different areas of Spain, and allows for varying degrees of political autonomy. Spain's population includes 2.2 million Basques in the north, 2.8 million Galicians in the north-west and 7.4 million Catalans in the north-east. Most of the people speak Castilian Spanish, but Catalan, Galician, and Basque are also official languages. After 16 years of uninterrupted growth, the Spanish economy suffered a recession in 2008, and the gross domestic product fell by nearly four per cent in 2009. The economy, which consisted mainly of the construction industry and of income from tourism, was badly hit by the global economic crisis. In 2010, the budget deficit had increased to nearly ten per cent of the gross domestic product. The unemployment rate went from a low of eight per cent in 2007 to a record high of nearly 22 per cent in 2011, one of the highest in the EU. Young people under the age of 25 have been particularly affected by unemployment - in 2011 over 45 per cent of them did not have a job. Over 70 per cent of the population is employed in services, one quarter in industry and around four per cent in agriculture. One of the main features of the Spanish labour market is its duality - one sector of the population, which is mostly older, is in stable well-protected work contracts. Another sector, which accounts for 30 per cent, is younger and survives on temporary contracts. Nearly a fifth of the population (19.8 per cent) lives under the nationally-established poverty line. Poverty used to mainly affect elderly people over the age of 65, but in recent years immigrants and children have also suffered from it. Since the mid-1980s Spain has become a country open to immigration - about three quarters of Spain's population increase has been thanks to immigration. Due to its proximity to Morocco, many immigrants cross the Mediterranean Sea in small boats to enter Spain, and therefore the European Union. Male immigrants generally work in agriculture or in construction while the women work mostly in households, cleaning or looking after elderly people or children. Children are the most vulnerable group and the one most suffering the consequences from the economic crisis, that's why Spain has introduced a number of measures to improve the situation of children in the past decades. There have been various educational reforms which have raised both standards of and access to education: children now have access to free education between the ages of three and 16. As Spain has experienced economic and social changes, there has been a move away from the traditional model where mothers stay at home looking after their children. To some degree, the extended family, especially grandparents, are still involved in the care of children while parents go to work. However, there has been an increase in the availability of day care and access to pre-school education, much of which is subsidised by the state. However, policies to help families, and in particular those addressing child poverty, have not had the desired impact. In 2012, Spain had a high child poverty rate. Within Europe, the highest rates of child poverty were found in Greece and Romania (both with 23 per cent of the population), Spain was third with 22%, followed by Bulgaria and Croatia with 21 per cent. 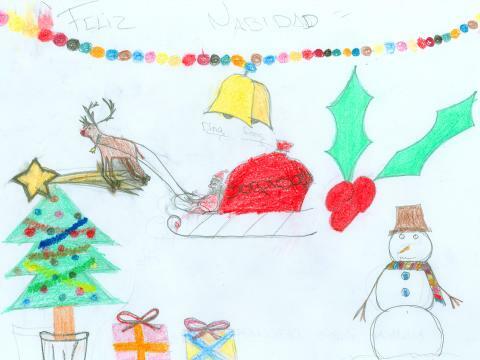 Children are some of the main victims of poverty in Spain. In collaboration with local authorities, SOS Children's Villages provides families who live in the local community with some of the support they need: this may be counselling to help them find jobs or psychological support; with childcare in kindergartens or family-based care. There are nearly twenty day centres for children and families at risk. There are also eight SOS Children’s Villages in the country, for children who have lost their parental care. As children grow older they can move into special houses where they live independently.